Originally formed as the Westminster Community Singers in 1966, the name was changed to the Bob Locklin Singers in 1967. In 1969 the first Don Brockett Musical Comedy Review was produced. 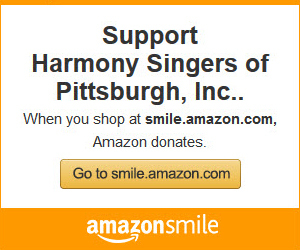 The name was changed to the Harmony Singers of Pittsburgh in 1976, and since that time the spring show has become an annual event. As a lead to the annual spring show, numerous performances and concerts are given throughout the holiday season. Most of these performances take place at senior residential homes and retirement/life care communities and culminate in a final Christmas concert. The Harmony Singers range in age from early 20's to mid 70's, both men and women, who enjoy singing, dancing, and doing comedy. The members are teachers, engineers, nurses, counselors, bus drivers, bank/city executives, interior designers, housing managers, salespeople, and retired persons. 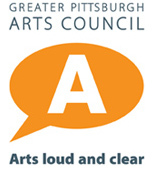 Past performances have included shows, both small and large, at retirement communities, church group functions, and local schools, in addition to occasionally performing the national anthem at Riverhounds soccer and Pirates baseball games. Historically the big event for the Harmony Singers has been the annual spring show, held at the Chartiers Valley Intermediate School. The spring show features a different collection each year of musical numbers and dance routines ranging from Broadway and big band to classic and contemporary popular music. The Harmony Singers are available to perform for your civic, social, church or business group. Also, new members are always welcome to join and share in the fun! This year marks Cynthia’s 15th year as the Choral Director of the Harmony Singers.Besides directing our Christmas and Spring shows, she has prepared the chorus for their 2008, 2011 and 2016 Carnegie Hall performances in joint concerts with other choirs from around the United States. Additionally, she instructed the Harmony Singers in the music sung by the 2000 voice choir for the Pittsburgh Symphony’s “Singing City” project held on April 20, 2013 as part of their Music for the Spirit Festival. Ms. Pratt earned a Bachelors of Music Education degree from the Wheaton College Conservatory of Music in Wheaton, Ill. where she was appointed student conductor of her college choir. After teaching public school music for a short time, she received a Masters of Music degree in Voice Performance from Duquesne University. Having been under contract with the Pittsburgh Opera Chorus since 1980, she was most recently seen on the stage at the Benedum Center in the Opera’s production of “Turandot”. She has also appeared in the chorus of CLO’s production of “The Student Prince”. 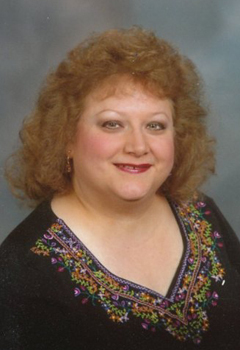 As an original member of the professional core of the Mendelssohn Choir of Pittsburgh, Cynthia has performed frequently as a soloist with the choir. Her favorite performance was in the PSO’s semi staged production of “The Music Man” with Shirley Jones, conducted by Marvin Hamlish. In addition, Cynthia is the Director of the Mt. Lebanon Evangelical Presbyterian Church Chancel Choir, where she directs a 60+ voice choir with full orchestra in their annual Christmas Cantata program. During past summers she has enjoyed touring Europe with the Robert Page Festival Singers. 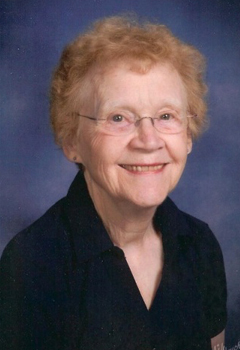 Carol can look back and see all the good times and friends she's had, being accompanist for the Harmony Singers for over 40 years. She can also see clearly "A Whole New World" of music for the future. She has been pianist for such groups as South Park Theatre, Pittsburgh Savoyards, Stage 62, McKeesport Little Theatre, Canterbury Dinner Theater, Jude Pohl Productions, and various high schools and soloists. She directs the Tapestry Choir, and is Music Director for the Unitarian/Universalist Church in Mt.Lebanon, and has taught private piano for over 30 years. She also spends time enjoying her family, which includes 6 grandchildren and 2 great-grandaughters.